6.6L 400CID OHV V8, Duramax Diesel "LLY". MAY/04 - 05 Chevy Silverado 2500 HD 6.6L V8 Diesel Turbo Duram ax LLY, VIN "1, 2". MAY/04 - 05 Chevy Silverado 3500 6.6L V8 Diesel Turbo Duram ax LLY, VIN "1, 2". 6.0L (363cid) OHV V8 POWERSTROKE DIESEL TURBO. - Only fits for 2004 - 2010 Ford Powerstroke Diesel Model. The factory honeycomb material inside was replaced with a series of stainless steel tubes. The tubes allow the exhaust gas to flow more freely and faster eliminating a chance of clogging. 2007-2013 Toyota Sequoia V8. 2007-2013 Toyota Tundra V8. 2008-2013 Lexus LX570. SAI / EVAP DELETE RESISTOR KIT (5 PCS) VW Mk4 1.8T 2.7T Audi B5 B6 N80/112/249. 4x Square Style Resistor (N112, N249, N75 or VVT Solenoid). This resistor kit is made in-house by AmpMotorsport. 1x Oval Style Resistor (N80). VALEO : 700414 - 700444. 307 Restylée - 1.6 HDi 16V 110cv, 1.6 HDi 16V Affaire 90cv, 1.6 HDi 16V 90cv, 1.6 HDi 16V Affaire 110cv. 207 3 portes - 1.6 HDi Affaire 90cv, 1.6 HDi 90cv, 1.6 HDi 16V 110cv. BOSCH 0280142431. 100% Genuine BOSCH Products. 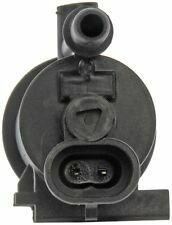 GENUINE VOLVO INDICATOR ORANGE BULB & HOLDER SOCKET 8662986 8662985 S60 V70 XC70 GBP 13.98. 2x 64113 10W 12V BA9s OSRAM halogen GENUINE interior H10W brake miniwatt Germany GBP 6.49. Trending at C $20.05eBay determines this price through a machine-learned model of the product's sale prices within the last 90 days. Part Number: 12597567. New Emission Valve Solenoid. New OEM GM Alternator. 2008-2011, 2014 GMC Savana 1500. OEM Part Number:MX136200-3241. Item Condition: New. 2004-2009 Saturn Vue. 2009 Saturn Sky. VARIABLE VALVE TIMING SOLENOID. 2005-2011 Hyundai Azera. 2005-2010 Hyundai Sonata. 2006-2008 Hyundai Entourage. 2006-2012 Hyundai Veracruz. 2008-2012 Hyundai Genesis Coupe (3.8L). 2009-2014 Hyundai Genesis Sedan (3.8L). Référence fabricant : 700414 / 700444. VALEO : 700414 - 700444. CITROEN/PEUGEOT : 1618.59 - 1618. PEUGEOT : 1618.59 - 1618. Vanne EGR VALEO. 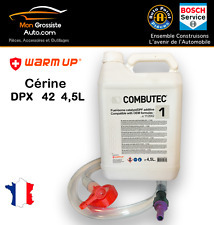 C4 Coupé - 1.6 HDi 16V 90cv, 1.6 HDi FAP 16V BMP6 (boîte pilotée) 110cv, 1.6 HDi FAP 16V Entreprise 110cv, 1.6 HDi 16V Entreprise 90cv. Toyota 5.7L Air Induction Pump Bypass Kit & Exhaust Port Plates - NO CUTTING ! Secondary Air System / Air Induction Pump Bypass Kit. 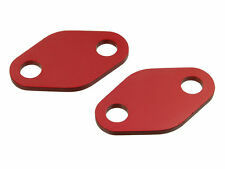 It also includes two (2) bypass plates made from precision cut 304 Stainless Steel. Any previous repair to the AIP system or update ECU couldcauses a miscommunication with the bypass module, this could include . Manufacturer Part Number: VW TDI 1.9 ALH Delete. 1998-2004 Volkswagen Beetle 1.9L L4 Diesel ALH. 1999-2004 Volkswagen Golf 1.9L L4 Diesel ALH. 1999-2004 Volkswagen Jetta 1.9L L4 Diesel ALH. 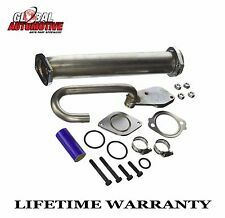 50mm EGR Delete Kit Race Pipe For 98 - 04 MK4 Beetle Golf Jetta Volkswagen VW TDI 1.9. 162870 - 16287S - 16289V - 1628AA - 1628HN - 1628KN - 1628KY - 1628NY - 46778 - 467780. CITROËN : 1628 HN - 4677 80 - 96 229 975 - 1628HN - 467780 - 96229975. Sonde lambda. Sonde de régulation : Avant catalyseur. (In no event will our collective liability to any party (regardless of the form of action whether in contract, tort, or otherwise) exceed the cost of replacing the part sold. 3) Perfect match for the original car. 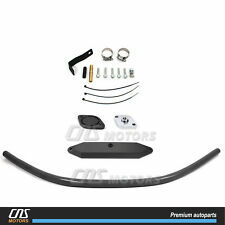 For NISSAN 350Z 2003-2009. For NISSAN 370Z 2009-2015. For NISSAN ALTIMA 2004-2015. For NISSAN ARMADA 2005-2015. For NISSAN CUBE 2009-2014. For NISSAN FRONTIER 2005-2015. For NISSAN GT-R 2009-2015. For NISSAN JUKE 2011-2015. Fits 93-97 LT1 Camaro / Trans Am and other GM models with V8 LT1 engines. LT1 SMOG DELETE KIT. Installing this kit can cause your check engine light to turn on. OE NO. : 12610560. INTERCHANGE PART NUMBERS: 12610560, 55593172, 12661763. OTHER PART NUMBERS: 12610560. This part may also be known as: Vapor Canister Purge Valve Solenoid Fit Buick Cadillac GMC Chevrolet 12610560. EGR EXHAUST MANIFOLD BLOCK OFF PLATES. (will fit other LS series engines. FOR LS ENGINES. Made in the USA from Aerospace grade billet 3/8" aluminum. ). PCV Valve Hose 99071AC881 X 1 (#1AC881 in parts breakdown). Genuine Subaru PCV Valve Hose for your 2006-2008 Subaru. Should the item fail during the warranty period, there is no need to send it back unless you want to. 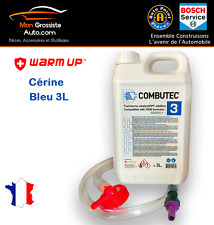 Joint kit SUPPRESSION VANNE EGR Pour AUDI A3 1.9 TDI 8P 2.0 TDI 8P 1.4 tdi 2.5 tdi ou autre AUDI. Motorisations 1.4TDI, 1.9TDI (base 90cv ou 130cv, mais aussi 105cv nouvelle génération), 2.0TDI Injecteurs pompes ou Common Rail 1ère génération, 2.5TDI (1ère et seconde génération). NEW EGR Valve For Buick Cadillac Chevrolet GMC Pontiac EGV589 12576918 EG10026. OE NUMBER:12568582, 12576918, EGV589, EGV589T, 17093020. BUICK ALURE. BUICK LACROSSE. BUICK LESABRE. BUICK PARK AVENUE. BUICK REGAL. 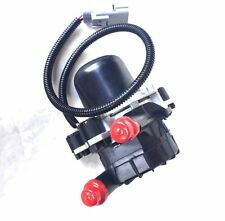 This sale is for 1 – Genuine OEM Subaru PCV Valve 11810AA100, Impreza Forester Outback Legacy Tribeca XV. Trending at C $20.97eBay determines this price through a machine-learned model of the product's sale prices within the last 90 days. Duramax Diesel 6.6L 400CID OHV V8. EGR Delete Kit & High Flow Intake. Chevy Silverado 2500 HD. Chevy Silverado 3500 HD. Chevy Silverado 3500. Silverado 2500 HD. Silverado 2500 HD Classic. Silverado 3500. OE number: K5T46597, LF82-18-740. Included: 1 x Vapor Canister Purge Solenoid Valve. For Mazda Mazda 3 2004, 2005, 2006, 2007, 2008, 2009, 2010, 2011, 2012, 2013. For Mazda Mazda 5 2012, 2013. For Mazda Mazda 6 2009, 2010, 2011, 2012, 2013. OEM : 0001403785 ; 000 140 37 85. 100% New Construction. Ready for Install Straight out of the box. We are learning and improving our service better and better. Select "More Actions, Cancel Order". Cancelations and Changes. No exceptions. Replaces OE# Mounts on engine. Steering & Suspension. wmlistflag: 20170912. Warranty: 1 Year. Sensor de Oxigeno Nuevo. We provided a guide for you below. Compatibility table is to be used as a guide only. Failure to do any and all of the above voids the warranty. Any Product which has been altered in any way, improperly installed, or not used for its' intended purpose. Breather PCV Hose. Audi A4 Quattro. Audi TT Quattro. Volkswagen Beetle. Volkswagen Passat. Volkswagen Jetta. 2001 L4; 1.8L; 1781cc; Oil Filter Bracket to Valve Housing. 2002 L4; 1.8L; 1781cc; Oil Filter Bracket to Valve Housing. 2006-2009 Buick Lucerne 4.6 Liters and w/90 Degree Inlet Port. 2004-2007 Buick Rainier 4.2 Liters and w/90 Degree Inlet Port. 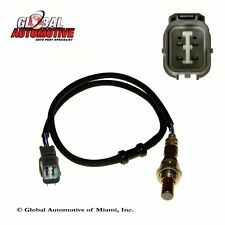 2006-2009 Cadillac DTS w/90 Degree Inlet Port. 2004-2009 GMC S15 Envoy 4.2 Liters and w/90 Degree Inlet Port. Description: Vapor Canister Purge Solenoid Valve For Nissan Infiniti 14935-JF00B 14935J-F00A K5T45786 100% Brand New And High Quality High Performance With Fast Shipping Package Quantity: 1 X Valve Manufacturer Part Number: 14935-JF00A Interchange Part Number: 14935-JF00B,14935JF00B,14935JF00A,K5T45786,PV585,2M1219,911-504,911504 Fits The Following Vehicles: 2009-2012 Nissan Versa 2011-2012 Nissan Juke 2011-2012 Nissan Cube 2009-2010 Nissan Tiida 2009-2012 Nissan Sentra 2010-2012 Nissan Frontier. 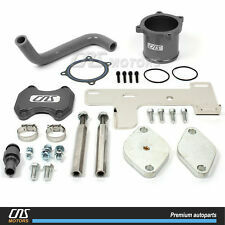 Ford Powerstoke 6.0 L EGR Delete Kit Engine Oil Cooler & Cooler Kit with Gaskets. 6.0L (363cid) OHV V8 POWER STROKE DIESEL TURBO. 6.0L 363ci OHV V8 DIESEL TURBO. This Coaler Systems Ford 6.0L Powerstroke kit was put together with all the correct parts for a complete worry and free install. Manufacture Number 0580000025. OE Number 0001405185. 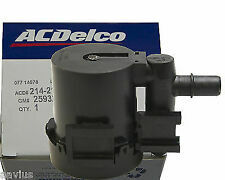 Part Type Secondary Air Injection Pump. Note Bosch. Air Conditioning & Heat. We are an actual, brick & mortar warehouse facility, founded in 1994. Part Number: OS5261. Warranty Duration:Other. We are a staffed by Knowledgeable and experienced professionals, giving you "just good old fashioned friendly service"! Mon. to Fri. About the Part. Warranty Type:Manufacturer Warranty. Warranty Duration:1 Year. We are a staffed by Knowledgeable and experienced professionals, giving you "just good old fashioned friendly service"! Part Number: S-754. 6.7L 408ci OHV L6 Cummins Diesel Turbo. 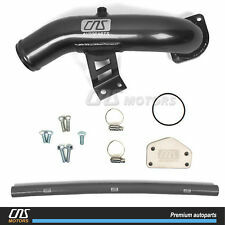 For 05/07 - 09 DODGE RAM2500 6.7L 408ci OHV L6 CUMMINS DIESEL TURBO. 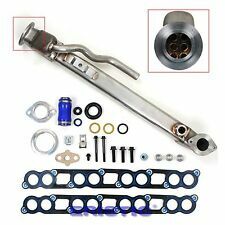 For 05/07 - 09 DODGE RAM3500 6.7L 408ci OHV L6 CUMMINS DIESEL TURBO. Your vehicle will not pass emissions testing if the emissions system has been disabled.